Ivanhoe Reservor, looking toward the divide. Ivanhoe Reservoir, looking toward the Continental Divide. A water court case in Pueblo over the size of water rights from the upper Fryingpan River delivered through the Busk-Ivanhoe tunnel to the East Slope has now blossomed into a Colorado Supreme Court case full of powerful interests opposing each other across the Continental Divide. A bevy of West Slope entities, including Pitkin, Eagle and Grand counties, the Colorado River District and the Grand Valley Water Users, Association are arguing against a May 2014 water court decision that gave Aurora the right to use 2,416 acre-feet of water from the Fryingpan for municipal purposes in Aurora instead of for irrigation purposes in the Arkansas River valley. The new decree gives Aurora the right to divert up to 144,960 acre-feet of water over a 60-year period. The other West Slope entities in the case are the Orchard Mesa Irrigation District, the Ute Water Conservancy District and the Basalt Water Conservancy District. On other side, a list of the most powerful water entities on the East Slope have filed legal briefs supporting Aurora’s positions, including Denver Water, Colorado Springs, the Pueblo Board of Water Works, the Northern Water Conservancy District and the Southeastern Water Conservancy District. 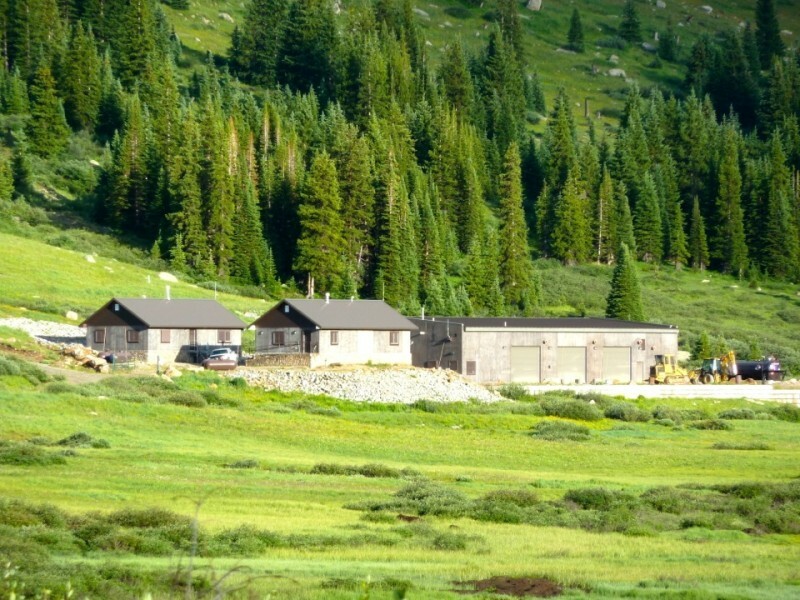 Pitkin County is specifically arguing that the water court judge should have counted Aurora’s 22 years of undecreed use of the water for municipal purposes — between 1987 and 2009 — when determining the historic lawful use of the water right, and thus, the size of the right’s “transferable yield” from irrigation to municipal use. Instead, the judge set 1928 to 1986 as the representative sampling of years and excluded the 22 years of Aurora’s admittedly undecreed use. 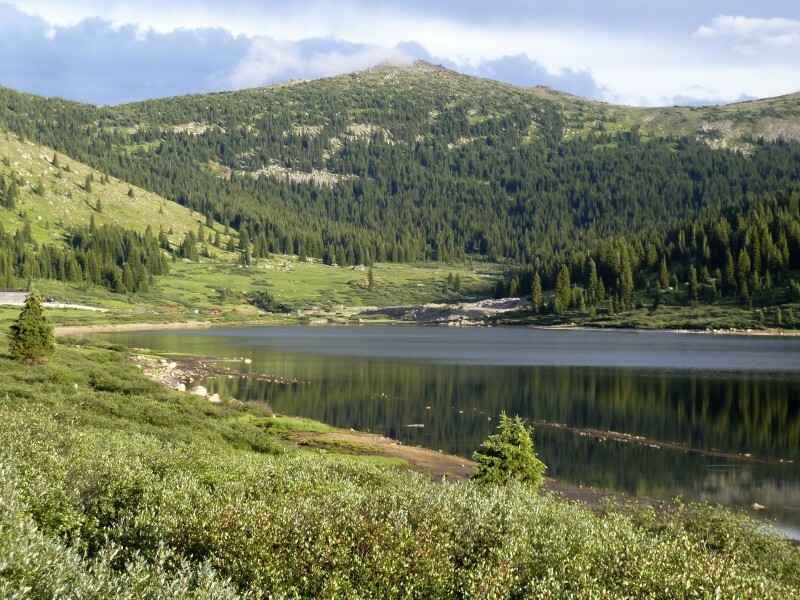 Expert testimony in the case indicated that if Aurora’s years of undecreed, or “zero,” use were averaged in, the size of the transferable water right would be reduced by 27 percent — which is what Pitkin County believes should happen. “When water rights have been used unlawfully for more than a quarter of their period of record, a pattern of use derived solely from the other three-quarters of the period of record will not most accurately represent the historical use of the rights at issue,” attorneys for Pitkin County told the Supreme Court. 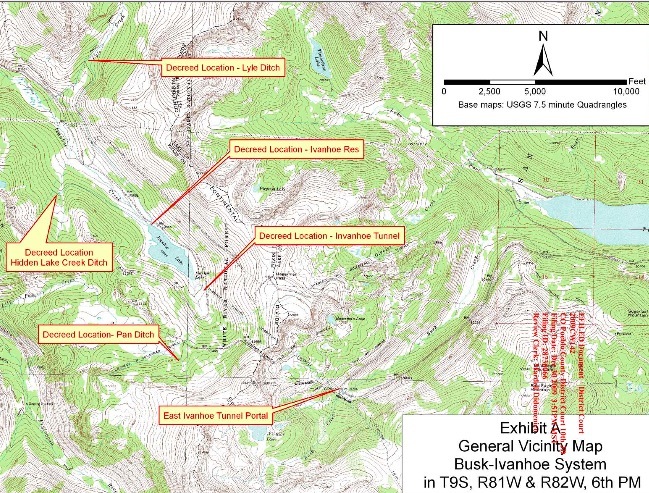 The Colorado state water engineer and division engineers in water divisions 1, 2 and 5 are also arguing alongside Pitkin County that the judge should have included the 22 years of “zero” use in a representative sampling of years. “This court should remand the case with instructions to determine the average annual historical use between 1928 and 2009, including zeros for years when Aurora diverted water through the Ivanhoe Tunnel solely for undecreed uses,” attorneys for the state and division engineers wrote. The various East Slope entities are arguing in the case that the judge did the right thing by not counting Aurora’s 22 years of undecreed municipal use. Meanwhile, other West Slope entities, including the River District and Eagle County, are arguing that Judge Larry C. Schwartz erred in his opinion regarding the right to store water on the East Slope without a specific decree to do so. “The water court misinterpreted the law and erroneously looked beyond the record in the original adjudication to conclude that no storage decree was necessary and then included water stored and water traded to others within the amount of the changed right,” attorneys for the West Slope entities wrote. But the East Slope entities support the judge’s conclusion regarding storage. “The water court correctly interpreted prior case law and ruled East Slope storage was within the ‘wide latitude’ accorded importers of transmountain water provided such storage did not result in an expansion of the Busk-Ivanhoe water rights,” attorneys for Aurora wrote. Built between the early 1920s and 1936, the Busk-Ivanhoe water system now diverts about 5,000 acre-feet of water a year from Ivanhoe, Pan, Lyle and Hidden Lake creeks, all tributaries of the upper Fryingpan River. The system gathers water from the high country creeks and stores it briefly in Ivanhoe Reservoir, which sits at 10,900 feet. 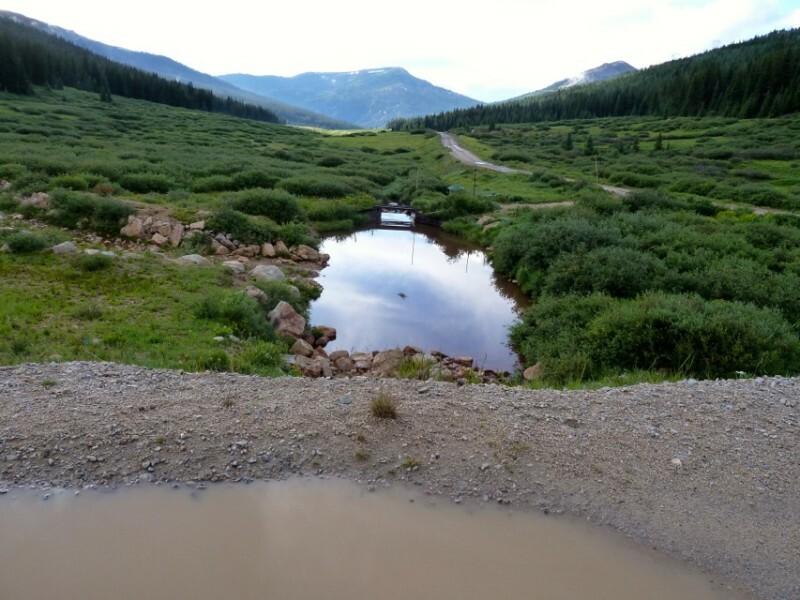 It then sends the water through a 1.3 mile-long tunnel under the Continental Divide to Busk Creek and on into Turquoise Reservoir near Leadville. From there, the water can either end up in the lower Arkansas River basin, or via pumps, end up in the South Platte River basin, where Aurora is located, just east of Denver. The Pueblo Board of Water Works owns half of the Busk-Ivanhoe water rights, which have a primary 1928 decree date. In 1990, Pueblo received a decree to use its half of the water for municipal purposes, and that decision is not at issue in this case. Aurora bought 95 percent of its half of the Busk-Ivanhoe water rights in 1986, and by 2001 had purchased 100 percent of the right, paying at least $11.25 million, according to testimony in the case. The downstream view from Ivanhoe Reservoir. Aurora came in from the cold in 2009 and applied in water court to change its half of the Busk-Ivanhoe water to municipal uses. 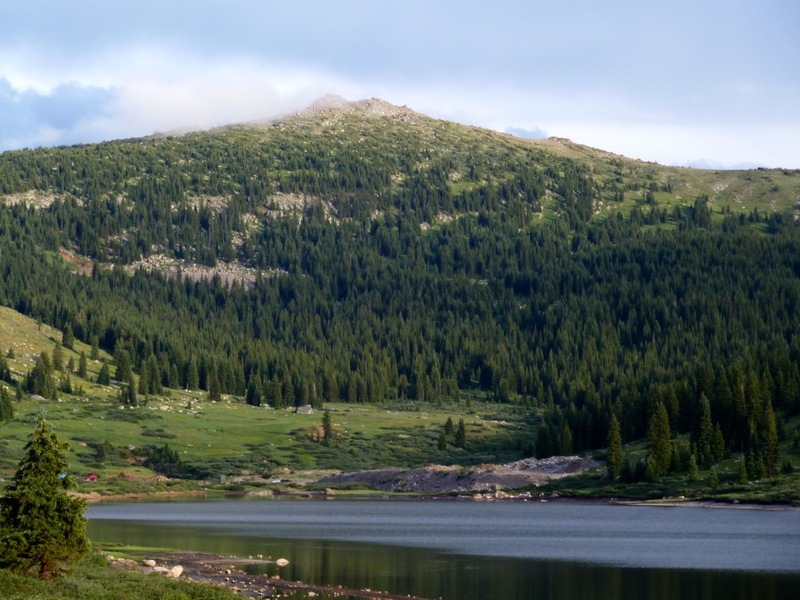 And it also applied for specific water storage rights, including in a new reservoir to be built on the flanks of Mount Elbert called Box Creek Reservoir. After a five-day trial in Div. 2 Water Court in Pueblo in July 2013, which resulted in 1,075 pages of transcripts and 6,286 pages of exhibits, Schwartz ruled in May 2014 in Aurora’s favor. West Slope entities filed appeals in October with the Colorado Supreme Court, which directly hears appeals from the state’s water courts. Opening briefs in the case were filed by West Slope entities in December, and a round of “answer briefs” and “friend of the court” briefs were filed last week by various entities. The West Slope entities now have until March 21 to file reply briefs in the case. Once the case is set, oral arguments will be heard before the Supreme Court justices in Denver. Here is a linked list of documents in the Supreme Court case, 2014SA303. Aspen Journalism has annotated some of the documents in the process of reporting this story. Editor’s note: Aspen Journalism is covering rivers and water in collaboration with The Aspen Times and the Glenwood Springs Post Independent. The Post-Independent published the story on Monday, March 2, 2015.